This is the debut release and is by the renowned artist Joke Lanz under one of his many guises. 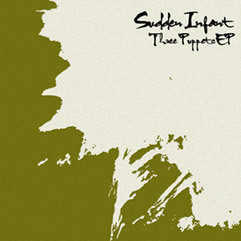 it’s a 3 track EP featuring some incredibly visceral tracks. Joke has a huge body of work to his name including WAL, Schimpfluch-Gruppe with the performance artist Rudolf Eb.er, Opposite Opponents and countless others projects. he has collaborated with the likes of Christian Marclay, Annie Stubbs, Z’EV and too many other to mention. unsettling yet beautiful, this EP is a fantastic start to the label and we’re proud to have him onboard. 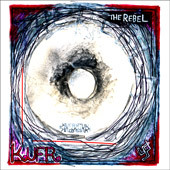 Needlesoup’s second release is by The Rebel, the side project launched by polymath Ben Waller, also known as the frontman of avant-garage band Country Teasers. ‘KUFR EP’ contains 5 ingenious tracks of darkly humorous storytelling and irreverent originality and we love Ben’s style (as much as he loves cricket. As is the way with the label, this release is strictly limited to 100 copies only. The Rebel : The Rebel was born Benedict Roger Wallers on September 15th 1971 in St. Albans, Hertfordshire, England. Then I had breakfast and did some drawing then i went for a ride on my bike then i had lunch then i made a set-up then i went for a bike-ride then it was tea. Then i was sent to prison to do community service for 10 years for gobbing at a baby. Rebel was calling himself “WALRUS”, a permutation of our surname. Then a girl called agh i can’t remember was doing a folk night open-mic come one come all and do your shite there in edinburgh where “I stayed on my own for a few” years, to quote Him* so i got up a few of my songs for it and presented a sort of anti woman pro-feminist Race/Racist Hate persona, compared v. favorably by one of the audience to Dylan, getting a few laughs, see page 58 for my first stand up gig. George Miller, Edinburgh music legend, was going out with the Rebel’s best friend Felicity, and he wanted to play some drums, by way of relaxation from his professional band The Kaisers, wherein he played guitar, sang and wrote strict 1962 beat songs. He urged me to start a band so i did.